Looking for a luxurious, organic sunscreen? 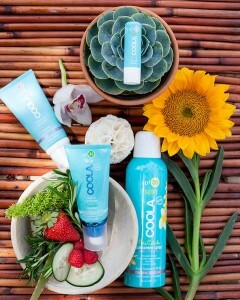 Look no further – The Sanctuary Spa now carries COOLA! COOLA offers high performance suncare products that are still both delicate and luxurious enough to compliment anyone’s daily skincare regimen, no matter how fussy. Stop by the Sanctuary to learn more about the COOLA suncare line & to purchase your COOLA sunscreen products today!